Every company needs to assess the risk to their business if a particular system were to have problems; what the impact of that problem would be, and what is the opportunity to not only resolve problems, but also to prevent them from happening in the first place. That means investing in technical support services that ensure that parts are available for hardware and that software updates and fixes are installed and that help is available when needed. Support services can also help achieve operational performance goals year after year. Successful companies treat Support services as a priority for overall performance, business value and competitive advantage. Support must extend beyond providing reactive services whenever there is a problem. Leading companies strive for a collaborative relationship with their vendor; that they’re looking out for them and working proactively to help meet performance goals – today and in the future. Support programs should include proactive service elements such as upgrade planning, access to value-added information, and guidance on improving asset performance. Many operations are finding that by taking a holistic perspective on Support, Services and Maintenance, they can achieve synergy and drive value to the bottom line. This approach is effective for organizations that are growing as well as those that are focused more on production efficiency and reliability. By integrating a broader perspective on Support with Performance Improvement Services and proactive Maintenance, companies can drive greater Operational performance, and greater business value. Successful organizations are finding that they can get enormous value by leveraging the skills and experience of their automation vendors. In fact, they almost have to in order to really get the most out of their assets. 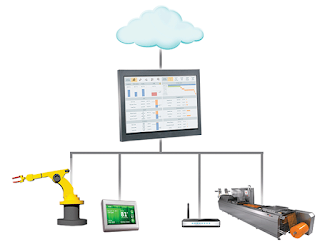 Automation system vendors have resources simply not available to customers. It’s their job. Beyond just knowing how to implement and configure their products, vendors understand what those products were designed to deliver, and how to tune them in a production environment to get the most out of them. Whether it’s performing Advanced Process Control, tuning Control loops, rationalizing Alarms, or delivering MES integration, forward-thinking vendors offer services that can drive improved performance. More strategic services should be considered to learn and apply industry best practices, modernize plant operations, integrate Operations systems with Business systems, or develop more effective Knowledge Management practices. Looking at the big picture, from a broader and deeper perspective can produce some valuable results to improve performance, even in the short term. Maintenance – Impeding or Improving? Maintenance must be considered as part of the picture, too. Maintenance is often considered as a necessary evil or seen as an impediment to production. But when it is viewed as part of the equation, companies can proactively integrate maintenance as a key element for improved operational performance. Many operations keep a supply of spare parts for critical equipment, but what effort is made to ensure that those parts are kept at current revision levels, upgraded to new technology, or even maintained themselves? Some vendors offer programs to manage spare parts for their clients, even to storing them in controlled areas with guaranteed response times. Most maintenance departments are facing the challenge of impending retirements and these teams often struggle to keep up with all the new technologies. As software becomes more integrated into operational systems, the task of maintenance becomes even harder – for new staff as well as the “old hands”. Businesses can leverage their vendors’ resources to take advantage of their knowledge and experience not only with their products, but also with complex applications. Support Programs – A Cost or a Benefit? Many operations struggle to justify ongoing support costs. If you only look at support like insurance, the question is really one of risk and impact. If you never take advantage of support services, then it seems like a bad investment. But, if you have a major problem solved through support, there is clear value. The preventive aspects of support are a “hidden” value often overlooked. Not unlike performing preventive maintenance on equipment, it’s very difficult to estimate the value of installing available software updates, training operators on updated procedures, or upgrading to current equipment. But these activities are all geared to prevent future problems and sustain performance. What does one hour of downtime cost your operation? What is the productivity of your personnel worth? What would it cost if you had to buy all the upgrades included in your support program? These are some of the factors to consider when justifying the value of support. In most cases, if you add it all up over time, the cost of NOT having a formal support program far outweighs the cost. And, when you consider the additional value available by integrating other elements of proactive service and maintenance, there are even greater benefits. By including services aimed at improving operational performance, tapping into a knowledge base of deep experience and skills, and other proactive support, problems can be avoided and additional benefits can be achieved. Without a Support Agreement, support costs can vary widely. It may cost less at first but, sustaining the same performance levels costs more over time if you don’t have formal support. These are not the only potential benefits from a comprehensive support program, but they are the most measurable. Additional consideration could be made for avoiding business and safety risks and fines from failure to meet regulatory, environmental and safety standards. There could even be performance penalties from not meeting contracted deliverables. Anything that delays production impacts your customers, your reputation and even shareholder value. What does a unit of downtime cost in your operation? How often is that unit likely to occur in the target time period? How do specific support elements reduce the likelihood of that occurrence? What is the predicted impact of those support elements? What is the impact on other parts of the operation? We’ve shown some of the ways that an effective support program could impact that Serviceable Event, but what is the potential effect? By using historical information, industry standards and best practices, we can make assumptions that an effective support program could reduce the number of annual incidents to 3 and shorten the downtime by an hour. In this example, a comprehensive support program that integrates elements of performance improvement services with maintenance and support services could save $110,000 per year. While there are a number of assumptions required, and only a single asset examined, it’s clear that significant benefits are possible. Extrapolate this example across all the assets in your operation and the potential value expands dramatically. A Serviceable Event can have an impact beyond the immediate incident. In many industries, the cost of a process re-start is significant, with an impact on energy costs, environmental controls, product quality and operator safety. The incident could have an impact on related aspects of the manufacturing process, causing a ripple effect throughout the operation. The incident could produce wastage, impact overall quality and impact inventory levels. These “side-effects” are very real, but extremely difficult to quantify. While some of these positive events are difficult to quantify value from, others can provide a measurable benefit. Protect Critical Investments - An effective, integrated support, maintenance and services program can sustain and extend the life of business-critical production software systems. 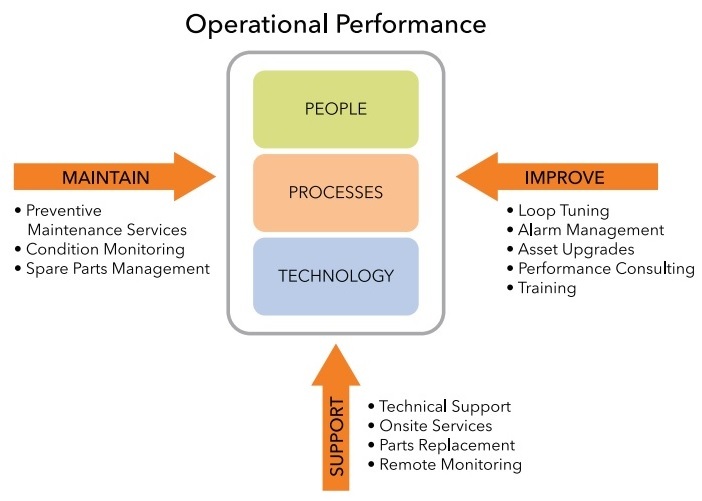 Maximize Asset Performance - Downtime costs companies millions of dollars. Integrated support options will maximize productivity and performance by keeping operations running smoothly. Reduce Total Cost of Ownership - Saving money is always important. A broader, integrated support program can provide innovative discounts and flexible funding options to save over the long term. 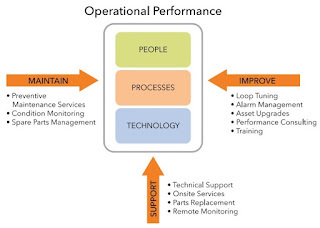 Improve Operational Performance - Performance improvement services that leverage vendors’ skills and experience can reveal new ways to improve performance to drive added operational value. Companies that have taken this approach view Support not as a sunk cost, but rather as a valuable resource that provides real competitive advantage.